This month we sat down with Firefighter Logan Douglas to ask him a few questions about being a volunteer firefighter with OVFC. Logan is 22 years old, grew up in Orange County, and is a graduate of Orange County High School. Logan joined OVFC 4 years ago. He works at Rish Equipment as a Service Writer at the moment, then he will be in the sales department to sell Komatsu Construction Equipment. Logan enjoys fishing, spending time with his family and friends, and being around his brothers and sisters in the fire department. He has 2 step brothers and a step sister. 1. What do you hope to accomplish as a volunteer firefighter this year (classes, training, certifications)? 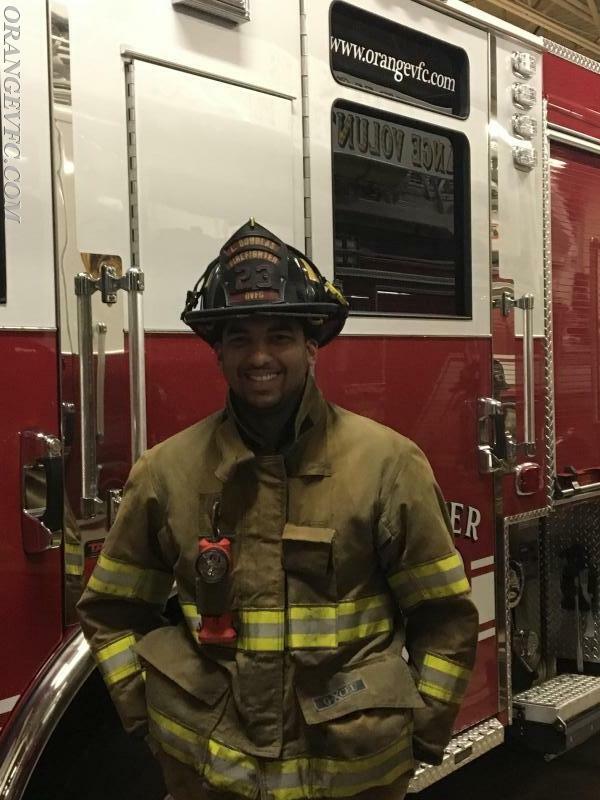 "I hope to accomplish some more training to help my department in anyway such as EVOC, EMT classes, Firefighter 2 and many more certifications." 2. What is one piece of advice you have for new members?
" Piece of advice I would have for new members would be to listen to the members of the department. They have the knowledge and the experience in the fire service and they would do anything in the world to help you succeed in reaching your goal that you have set for the fire service. 3. What would you tell someone who is thinking of joining OVFC?
" I would say it is a great department to be a part of in this community. Many people know about us and how we run our department. The community is very thankful to have the members of our department who care about our them. We set examples for our future firefighters to keep the tradition going as a volunteer company that was established in 1921."